Let’s talk about making money in wellness and How to Nurture Leads Resulting in 50% More Revenue! I want you to reach and touch more people by making the money you desire and deserve. You can contribute in a bigger way when you reach that kind of success and that’s what I want for you! 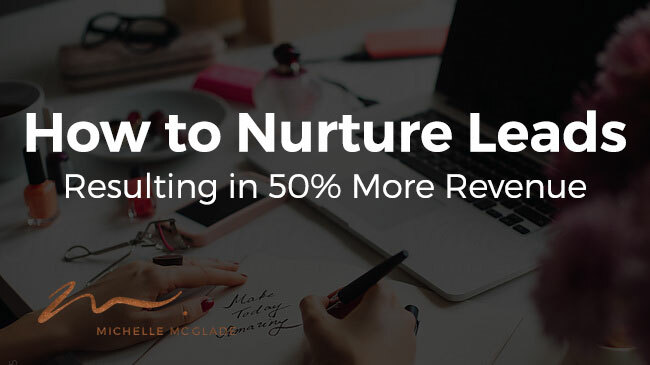 I want to talk about the fact that when you nurture your leads, you actually increase the amount they spend with you by 50%! Stop leaving money on the table by not nurturing these relationships with your leads! So what happens after you have a good nurture sequence going on with your leads through email marketing? You’ve sent a series of autoresponders to someone new who comes into your email list. But how do you continue providing value after that? Let’s discuss some tips and a framework for your next steps. I’ve spent money before on Facebook ads to generate leads. Than… I failed. I didn’t follow through and ended up making an investment that I didn’t manage to turn it into anything. This is why I know the kind of fatal errors and mistakes that can be made and what you have to do to fix them! I’ve learned the hard way so you don’t have to! Side note… it takes a lot more energy, effort, time and money to get a brand new client than it does to just nurture and build the relationship with existing leads and clients! I know you’ve heard that before! When I thought about what I was going to discuss, it got me to thinking about how I’ve handled existing clients, as well. I let those relationships fall off. I’ve done it! I’ve put in the effort to bring them in, back when I had my acupuncture practice, than I didn’t do anything to continue building the relationship. There was no ongoing communication! I was leaving money on the table. OK, I know what you’re thinking. You don’t have time for this. It takes too much time, Michelle! Or, you just don’t know what to say! You don’t have any idea what to send them week in and week out. I have a framework that works to delivery content. High-value content! To your leads, past clients, existing clients. All in a very short amount of time. 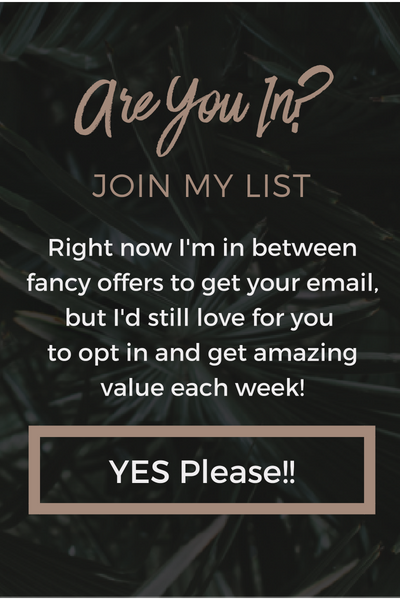 I’m going to tell you exactly what to write about so that they’re opening your emails and consuming that content that you’re putting out there! This will bring in more revenue! Here are the tips to lay out content on your website, your email marketing and your social media channels. All in about an hour a week! Always write about topics that go back to the pain points of your target audience! What are they struggling with? How can you deliver an amazing outcome for them? Pick a pain point! Here’s an example. Let’s say I work with people who suffer from migraines. One of their top complaints is light sensitivity. That’s your pain point! Done! Break the pain point into four mini topics. It’s a framework! This will be an easy recipe to make sure you’re providing value to concepts that are top of mind for your target audience. Communicate about the natural ways to soothe your tired eyes. A bedtime routine to improve sleep. Done! All four topics relate back to my bigger pain point of light sensitivity. Bam! Now I have content for a full month! Every Monday morning when I get to my computer, I know exactly what I need to execute on for that week! Write a blog post about it, which can than be used in multiple ways! Thirty minutes will be spent writing the blog, while the rest of the time will be used to communicate it out. Send it out to your email list with some teaser information in the email. Link back to your website for the entire blog for them to read. Take snippets from the blog from different paragraphs and use them to post on Facebook or your other social media profiles! Now you’re communicating this information in a different way, all week long! You’re leveraging your content! This type of framework is so easy, you guys. It will allow you to nurture those leads on an ongoing basis. Continue to develop those relationships and speak to them about topics that are relevant so you’re not leaving money on the table! Continue to invest and engage.